We offer internship opportunities on a very selective basis. We attract talents from some of the top academic institutions in the world ranging from Johns Hopkins Institute of Public Health, USA and Tata Institute of Social Sciences, Mumbai to Indian Institute of Management, Ahmedabad and Administrative Staff College of India, Hyderabad. As we do for our regular employees, we look for exceptional talent, high energy and strong values. For us, an internship means a great opportunity to know each other and hence, a strong likelihood of ongoing relationship. That’s precisely why we have quite a rigorous approach to select interns, which requires multiple rounds of interviews and a case study discussion, in some cases. Internship at Medium offers a host of unique advantages. From day one, you will get to work on a real-life, on-going engagement. Based on your interest and the duration of your internship, we will work out a module which will enable you to see it through to completion. You will also have one of the Engagement Managers personally guiding you on an on-going basis. While you will have ample opportunity to get into problem solving and analysis, you will also be required to get into execution. That’s the only way we can offer a blend of rich exposure and experience, not to forget the opportunity to personally interact with some of the industry veterans. Stipend and other terms offered by us compare favorably with top-ranking competing organizations. Born and raised just outside of Boston, Massachusetts, Prashant completed his Bachelor of Science at the Massachusetts Institute of Technology. There, he majored in Biology and minored in Economics. Entering MIT as a premedical student, Prashant obtained his EMT certification as a sophomore and actively volunteered on the MIT Ambulance. Upon graduation, Prashant worked as a strategy consultant in the pharmaceutical and biotechnology arena for numerous Fortune 500 companies. Prashant worked for a Medium client in December 2011 to establish processes for delivering a high level of customer service with a focus on patient experience as required by the client’s proposed business model. He also laid the foundation for monitoring and evaluation systems to supervise employees in the execution of numerous patient-centric processes. 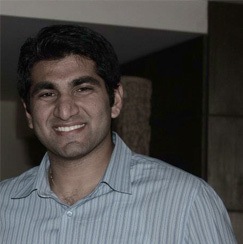 Prashant completed his Masters in Health Administration from Johns Hopkins Bloomberg School of Public Health in 2013. Dr Ranjana came to Medium while pursuing her Masters in Hospital Administration at the Tata Institute of Social Sciences. Having graduated with a Bachelor’s in Homeopathic Medicine and Surgery in 2008, she completed several research-related internships at hospitals around India. For six months, she was a private practitioner at a homeopathic clinic before joining TISS. 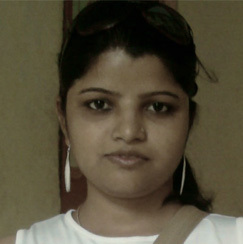 She completed a one-month internship with Medium in February of 2010. She worked on a Medium client project in the area of patient experience and customer evangelism. Dr Ranjana conducted an in-depth study of the patients at the client hospital, focusing on pain points, customer journey mapping and behavior insights. The results of the patient study formed the basis for initiatives which Medium later recommended to the client. 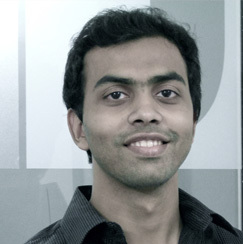 Dr. Avin Vagrecha joined Medium as an intern in April 2012 as part of his post-graduate course in Business Administration at the Indian Institute of Management, Ahmedabad. Dr. Avin completed his graduation from Grant Medical College followed by a one-year internship under the JJ Group of Hospitals. In the course of his internship, Dr. Avin also spent two weeks working in an Urban Health Centre and one month working in a Rural Primary Health Centre, allowing him to learn more about different patient demographic groups and how best to address various health problems in more than one setting. Dr. Avin was selected from over 60 applicants at IIM Ahmedabad for the summer intern position. While here, Dr. Avin worked on business development targeting a range of potential clients. He conducted primary and secondary research along with a strategic and financial analysis of the findings to develop proposals for potential clients from different healthcare domains ranging from medical device manufacturers to hospitals.